A kitchen is the most visited place in every home. It is here that tenants spend most of their time in the process of cooking and eating. So that the work does not bring inconvenience, and it was easy to move around the kitchen, you need to choose the right furniture. 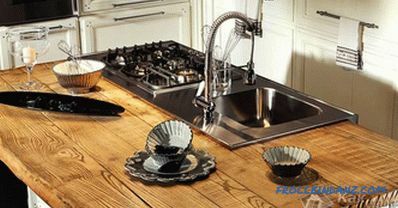 The basis of the working area is the tabletop, where most cooking processes take place. 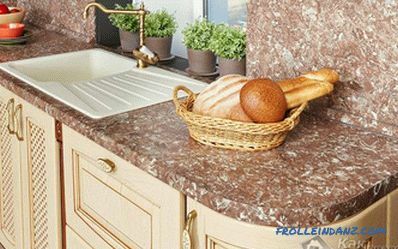 If you do not know how to choose a countertop for the kitchen, then you should read this article. Recommendations will help not to be mistaken and to choose the best option. The choice is rather big. But in order to calculate which tabletop is better, it is necessary to study all the features, advantages and disadvantages. An important role in the selection will play a price. 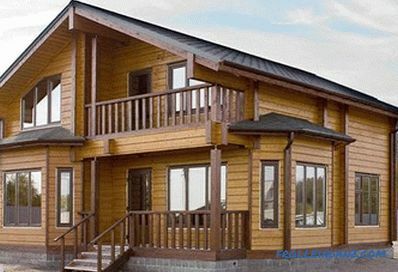 A common budget option which is in great demand due to its affordable price. If the chipboard is "afraid" of moisture, then thanks to the appearance of polymer coatings, everything has changed dramatically. 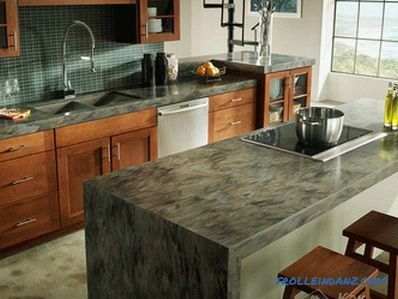 Countertops are made by gluing and pressing. After complete drying, a thin plastic layer up to 1 mm thick is applied on the table top. high performance and technical specifications. 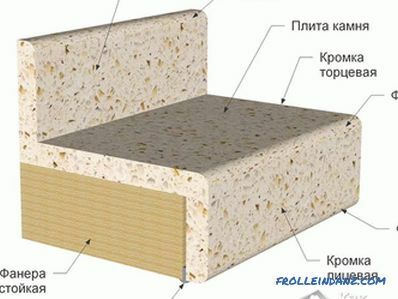 The base is a sheet of plywood on which a stone is glued. 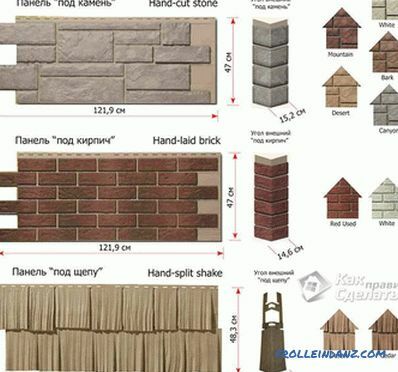 The thickness of the stone should not exceed 1.2 cm. Professional designers accurately and accurately select colors, which as a result allows you to create a visual resemblance to a natural stone. A polymer resin acts as a binder. Thanks to the high-precision equipment and the artificially created vacuum, an ideally flat and smooth surface is obtained. 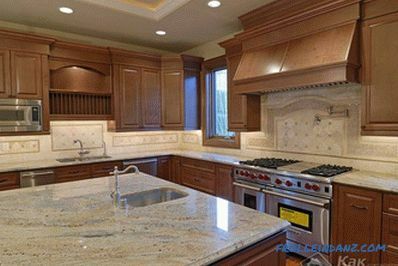 Countertops made of artificial stone have a high moisture resistance and resistance to the influence of aggressive media. Whatever one may say, the natural material always looks beautiful, practical, versatile and unique with quality processing. 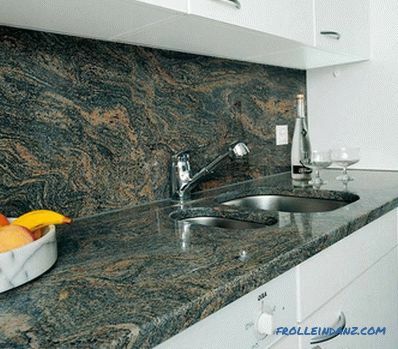 In most cases, granite is chosen as the base material - it is a very durable material. True, it is quite capricious and requires special care, as it absorbs pigments. There are oil stains on it that cannot be removed. 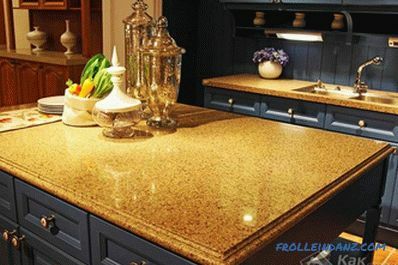 In addition, not everyone can afford the high price of a granite countertop, among the shortcomings should be attributed, and considerable weight. 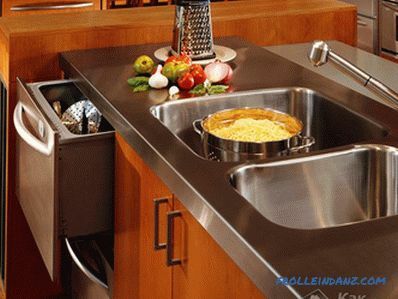 If the tabletop is wooden, it is necessary to minimize the number of wet cleanings and processes, and also to exclude all household chemical detergents. High price, low durability, maintenance complexity is an incomplete list of properties, which does not speak in favor of such a tabletop. That is why in home kitchens such material is rarely used. Defects such as abrasions and scratches will constantly appear on the surface. 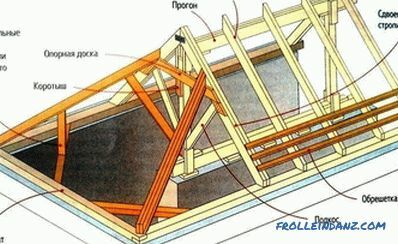 resistance to the development of mold or fungus. 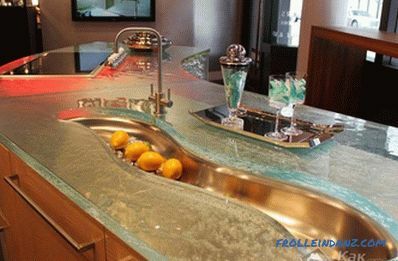 Such a countertop can be cleaned with any household tools. Thanks to the practicality and versatility of the material, stainless steel is used in the manufacture of restaurant equipment. Such countertops can often be found in school canteens or in public catering facilities. after a certain period of time the paint will fade. With the material we figured out You can go to the next criterion - this is the size of the kitchen countertop. All data is taken into account: width, length and thickness. When planning kitchen furniture it is necessary to take into account that the working surface must first be functional, and secondly - to have an attractive appearance. 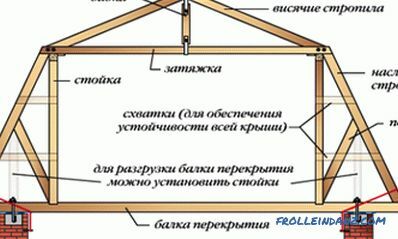 An important parameter is the height at which the table top will be installed, since it is on these parameters that the convenience of the cook will depend. It takes into account the height of the person, so that in the process there would be no pain in the lower back and legs. For example, when a person is up to 1.5 m, the tabletop should be located at a height of 76 cm, and for people as tall as 1.7 m - 88 cm. This parameter, like width, will be selected individually in depending on the size of the kitchen. For a small room, you should not choose a large tabletop. 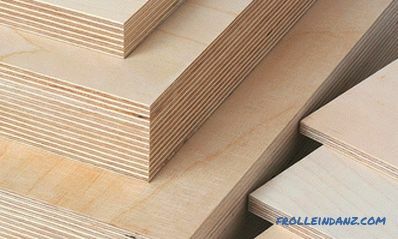 The thickness for each material is individual. All family members cook in the kitchen, so it is necessary to take into account the growth and possibilities of each. The shape of the tabletop is selected depending on the kitchen layout, the configuration of the headset, and the work area. It is very important not to overload the room with a large number of sharp corners, besides the tabletop should not interfere with comfortable moving around the room. 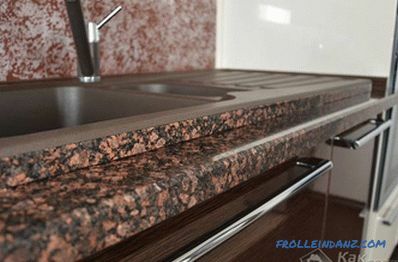 So that the new worktop fits well with the given interior , you need to choose the right color. In this case, everything will depend on what material was selected. If we take apart the colors separately, then we can draw small conclusions. Bright colors . These include yellow and orange. 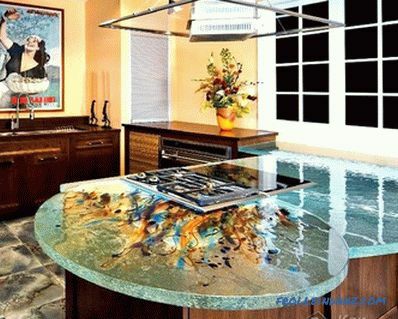 They will be relevant only with the appropriate kitchen design. In addition, this way you can make a bright accent in the interior, made in soothing colors. Light shades . Due to the property of the visual expansion of space, designers advise choosing them for small rooms. Warm colors . In the presence of a large number of cold accents emphasize the neutral peach or pink color. It should also be noted that the color must be in harmony with the decoration on the walls, the facades of the kitchen set and the kitchen apron. The classic interior is well complemented with white elements, the modern high-tech elements with stainless steel. When Choosing a worktop for a work surface must take into account the cost of its installation. The cost of installing a laminated countertop is quite acceptable. If you read the instructions, the work can be done independently. You can also handle the tree yourself. Everything you need can be found at home or in the nearest hardware store. Working with steel will take more time and effort, and will also require special skills and knowledge. In this case, it is better to turn to professionals. 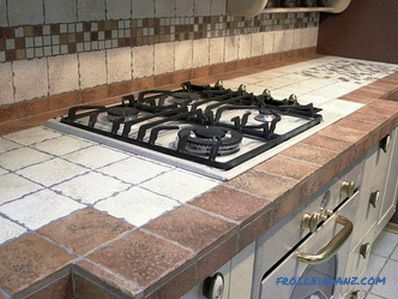 Natural and artificial stone is an area of ​​work for professionals. In this case, the cost of installation will be significant.